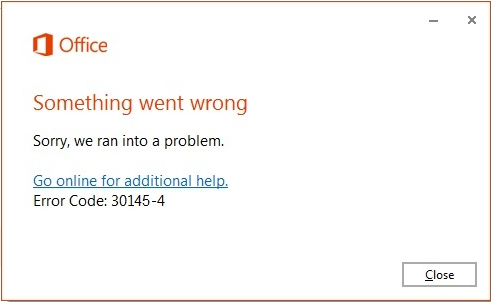 If you get an error that contains 30145 when you try to install Office, here are some things you can try to fix the problem. We’ve listed the most common solutions first, so try them in order. In your browser, bookmark this article so you can easily return to it since you'll have to restart the computer you're trying to install Office on. 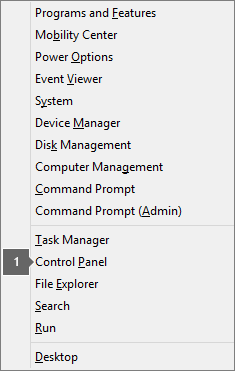 Save your work and close any programs you have open, and then restart your computer. 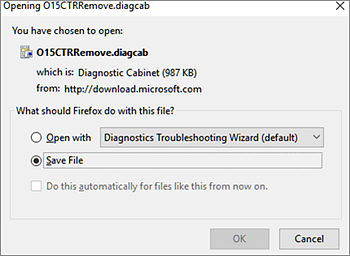 Once your computer restarts, open a web browser such as Internet Explorer, and sign in with the account associated with Office, and then select Install. The steps to access the repair tool vary depending on your operating system. 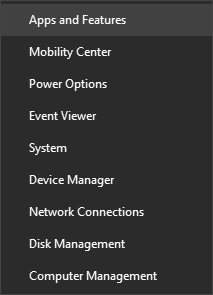 Choose your operating system from the options below. If the easy fix tool from the previous step doesn't completely uninstall Office from your device, try Manually uninstall Office.